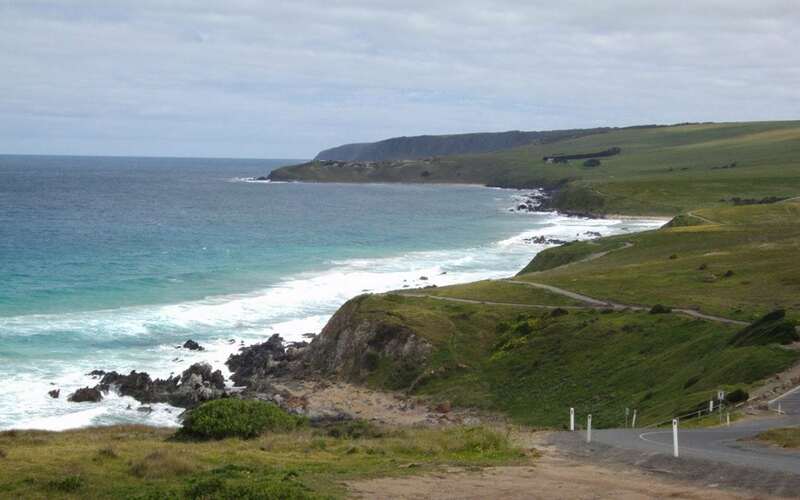 There are some spectacular hiking trails on the Fleurieu Peninsula to suit all abilities. Walking SA have them all listed on their website and below are a few that are very close to us here at Victor Harbor Holiday & Cabin Park. Coastal walking with a few hills. Follow the path along Franklin Parade from the Heysen Trail trailhead at Kent Reserve. Walking towards the Bluff, the trail continues past Whalers Way behind Rosetta Head (The Bluff), past Petrel Cove and along the Victor Harbor Heritage Trail to Kings Beach and Kings Head. Explore the Bluff by walking the 800m Rosetta Trail to the top of the Bluff. 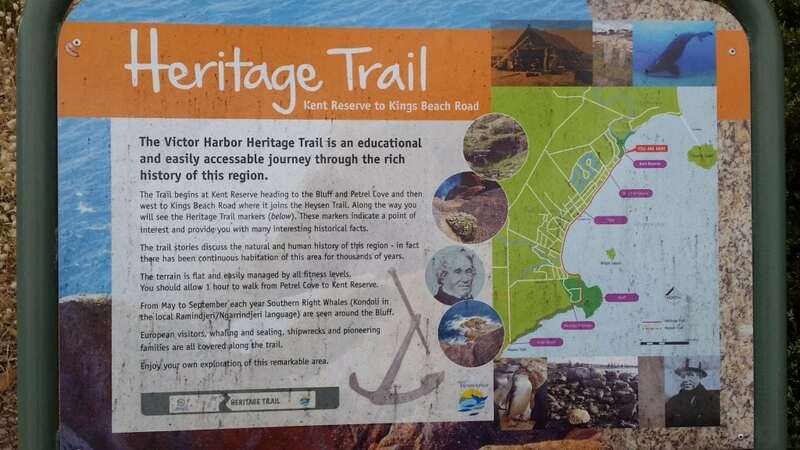 The highlight section of the trail is from Petrel Cove to Kings Beach, connecting with the Heysen Trail. A dog and child friendly walk. Watch out for dolphins and whales off shore. Easy 8km return walk following Inman River through Red Gums, a bird hide, floodplain and the paddock of the Granite Island tram Clydesdales horses. The 2.9km walk around Granite Island is a great way for people, including families with children and strollers, to discover the island. A 3 km self-guided walk through Victor Harbor’s town centre past 38 heritage buildings. As you weave in and around the heart of Victor Harbor, you will learn the stories behind these significant buildings and how they have contributed to making Victor Harbor what it is today.